I wrote my ebook in the month of May, while my baby was three months old and my toddler under two. It took a lot of focus and dedication, but I knew that the payoff would be worth it. It has been 2.5 months since my launch, and I have sold more 225 ebooks and have made $3,858.93. It is possible to do this, even if you are a busy mom running around after your precious little ones. Long before I sit down to start a post or work on a product I brainstorm my idea. As I’m driving or folding the laundry, I create the post or product outline in my head. I discuss the idea with my husband at dinner, between the requests from my toddler and a nursing baby. Now and then, I jot down a few notes but nothing official yet. I was able to write my ebook in one month because I had it 80 percent fleshed out in my mind. All I had to do was put pen to paper, or in my case, fingers to keyboard. After knowing I wanted to write an ebook and brainstorming for weeks before hand, I was finally ready to dedicate the month of May to creating and completing it. I started by typing the outline of my book which eventually turned into the table of contents. This list provided me with clear steps. It also enabled me to see my progress as I was getting closer to the finish line. You can use any text editor to create an outline, or you can use MindMeister and create a mind map. Have a Routine To Conserve Your Creative Energy. I know it’s difficult to have a set routine as a mom. Things come up and your day can quickly become hectic. As much as possible, try to have a routine for your life. It allows you to use your creative energy in productive ways, instead of trying to get through each day. Think of how you can do repeated tasks more efficiently. Take, for example, getting dressed in the morning. I have a ‘mommy at home uniform’ I wear. It’s made up of a motivational t-shirt and yoga pants or shorts. I spend less than 30 seconds deciding what to wear every morning. I know I only have a set amount of creative energy every day, and I know I need to conserve this energy and use it wisely. Having set outfits as a mommy prevents me from using my creative energy on daily tasks. Second, during the week my toddler and I eat very similar meals for breakfast and lunch. She has scrambled eggs for breakfast with toast and milk, and I have a protein shake. For lunch, she frequently gets meatballs with veggies or a sandwich. As all the productivity gurus will tell you, getting up earlier allows you to get more done. So I wake up every morning with my husband around 5:30 a.m. He is off to work at 6 a.m., and I have my cup of coffee ready and my computer open. This gives me at least 1.5 – 2 solid hours of quiet time to work. I may have to pop into the bedroom and nurse my baby, but after she falls asleep again, I’m back to my computer clicking away. Conserving my creative energy is important, and having a routine is a key factor. When I want to get serious work done, I know what I have to do. I need to close out of Facebook, Pinterest, and Gmail. Those three sites can quickly take up the entire nap time and leave me with nothing accomplished. It was difficult to practice this rule, but the more I did it, the better I became. I only check in on Facebook once or twice a day, and I limit myself to 15 minutes maximum. I completely stayed away from Pinterest unless it was to schedule my pins in Tailwind. Then I archived any emails not directed directly to me. Knowing my time wasters and avoiding them allowed me to complete my ebook in one month. Your time wasters may be different. Take the time to honestly analyze your day and see where you are wasting most of your time. As moms, it is challenging to focus on more than one creative tasks at once. You have the daily needs of taking care of the kids, cooking meals, cleaning the home, and running errands. Adding multiple outside goals into that mix can get messy quickly. I allow myself to have one or two major goals per month. This allows my mind to have a singular focus because I have just a couple areas where I want to spend my creative energy. If I made a list of 10 goals each month, I would waste too much time multitasking among all of them. I allow myself to complete one big goal by eliminating the urge to do it all. Instead of my energy being directed in multiple directions, I have a singular focus. Your willpower is a muscle: Exercise it and use it early while it is not weakened by the day’s grind. The more you use it, the stronger it becomes. Every time you close out of Facebook or turn off your phone and focus on your goal, you are exercising your willpower muscle. Think of those little actions like will-power squats. All those small no’s eventually turn into one big yes towards your goal. When creating a post or product, know where your strengths lie. I wanted my ebook to look professional, but I am terrible at designing fancy graphics. So I found a beautiful bundle from DesignCuts and purchased it on May 11th. It contains the icons and graphics I use throughout my ebook. I also signed up for SendOwl. It is the service I use to host and sell my ebook. They take care of the entire checkout and affiliate process for me. The last thing I invested in before launching my ebook was updating my blog theme. I bought the Divi pack from Elegant Themes because it has the ability to create beautiful landing pages. Its drag and drop capability made creating my sales page a breeze. For the creation of the ebook, I kept it simple and used the tools I already knew. I created the entire ebook in Microsoft Word and used Google Sheets for the workbook. Instead of trying to do it all myself, I invested in other services to propel my project to completion. 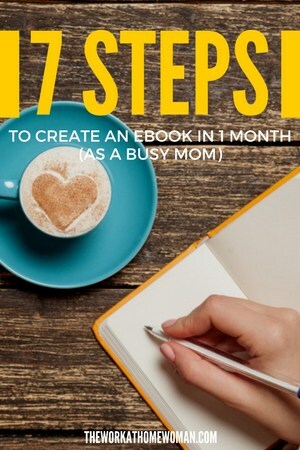 Many factors helped me create my ebook in a month, but I attribute it mostly to the seven steps above. Creating an outline, planning ahead, conserving my creative energy, and outsourcing what wasn't efficient or practical for me to do helped me greatly! I have been overwhelmed by the positive response and reviews my ebook has received, and I am grateful to every single customer. I also go out of my way to help them as much as I can to set up their own successful blogs. I hope this post has helped and inspired you to create your own product too! Please leave a comment below if you have any questions. How to Setup a Moneymaking Blog, Fast! Suzi Whitford is the mom of two little girls and the blogger behind www.startamomblog.com. She recently launched Blog by Number the ultimate guide for busy moms to start blogs. Hey Suzi! That’s such a great post. Thanks for sharing. 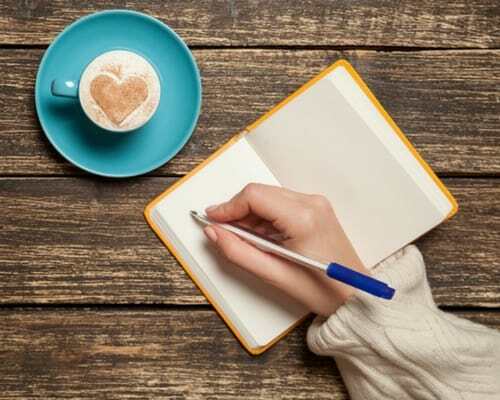 I am planning to start my own blog someday and it would be great if you could provide few tips to improve writing & blogging skills. Suzi: Congrats to your success! What is the book about? Have you heard about the writing tool, Ulysses? I am using it for my forthcoming first book on tea. I have started a crowdfunding campaign for the illustrations of the first book. Suzi’s ebook is about blogging. Haven’t heard of Ulysses, but thanks for sharing. Good luck and keep us posted, Martin. Thanks again for all your hard work and articles, I really do enjoy taking time out of my day to see what you have going on. Glad you enjoyed Suzi’s tips, Cheryl. If you decide to write an ebook, keep us posted. Awesome write up Suzi! My wife is going through a similar process of trying to focus on things with a baby at home too. She recently set up an Etsy store, basically on a whim, but is really pumped for it. Focus is the key. If you get off track even just a little bit, it can ruin everything. Glad you enjoyed Suzi’s tips. It’s tough working at home with a newborn and/or toddler, but it’s definitely doable. Creating a schedule and having focus will be key factors for success. Good luck to your wife! I totally agree. If you’re trying to fly by the seat of your pants, it will be much harder to achieve your goals. Thanks for stopping by, Lis! Thank you so much for allowing me to guest post on your site. I am honored! And I hope this helps your readers a lot. No, thank you! This is such great information — you’re such an inspiration! This had truly inspired me to pursue my dream of becoming a published author. I wanted to know how did you market your book? I know Suzi uses email marketing, social media, guest blog posting, and affiliates. I’ll see if I can get her to come over and answer your question in-depth though.